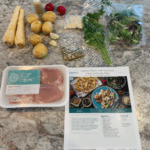 Goodfood Meal Kit Review 2019 - Makegoodfood.ca Tested! 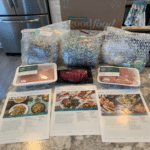 Our Goodfood Canada review and free promo offer code lets our readers see if “Canada’s #1 Meal Kit” suits their taste buds – for a crazy reduced first-time bonus! We’ve tried Goodfood for a month now and love the variety of meals that they offer each week. Personally, we tend default towards low-carb meals, of which, Goodfood had plenty of options. 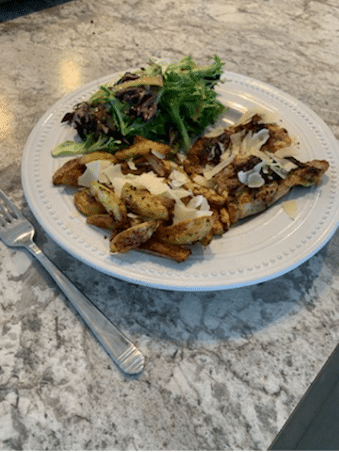 While the portions are slightly smaller on average than HelloFresh, they are also slightly cheaper, and I personally don’t miss the extra (in fact it’s probably good for me)! -No mental strain throughout the day worrying about what’s for supper! 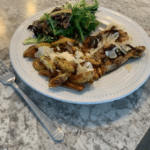 If you’re not interested in reading the rest of our extensive Goodfood review, just know that the company that bills itself as “Canada’s #1 Meal Kit” is an excellent value and a leading contender for our top pick. 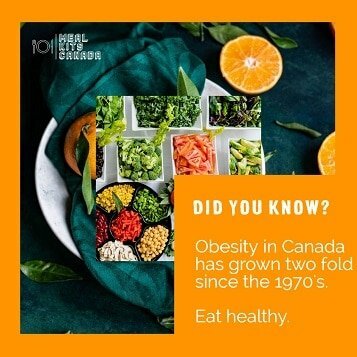 The Canadian-owned company combines very low prices, with excellent menu options, and perhaps the healthiest overall recipe selection of the major Canada-wide meal kit delivery services. Their Easy-Prep basket is perfect for families on the go! As the name would suggest, these meal kits are meant to be box-to-table in 15-20 minutes. We really appreciated this “basket” because it also included a low-carb option that we made use of. You can choose t0 get 2-4 meals, with either 2 or 4 servings in each meal per week. Goodfood’s most popular basket. Some weeks we decided to go in this direction if we knew one of us would be home much of the week in plenty of time to cook dinner (with a 2-year old in the house, the dinner routine can get a bit hectic) or if we thought some meals looked particularly tasty. This basket was slightly cheaper and included more pasta and starch options. It also allowed folks to choose a vegetarian option if they were so inclined (we were not those people). Like the Easy Prep Basket, you choose 2,3, or 4 meals to come in your food subscription box, and each of those meals is either 2 or 4 servings large. The Ultimate Value Pack has everything a family will need. This option only comes with 4-servings of however many meals you choose. Goodfood promises that this menu will include recipes that the whole family will love. That’s a lofty goal, but I think Goodfood is most of the way to clearing their highly-placed bar! You can see from our pictures below that Goodfood’s boxes are well insulated, and our meat has always stayed very chilled. Having a bit of an engineering background myself, I’m fully satisfied that this packaging could keep meat chilled for half a day on my doorstep in the hottest weather. Goodfood (sometimes referred to as “make good food” because of their commercial on TV) is headquartered in Montreal, Quebec and recently opened up an additional hub in Calgary, Alberta. They now employ over 500 people from coast-to-coast and deliver over 1 Million Meal Kits every month! Finally, I thought that Goodfood had a very uniquely Canadian way to give back to the community. For every box of food purchased by customers like me, Goodfood donates a meal to child in need. A lot of companies do cool charity work, but I just thought that was a neat way of tying together their mission and their product. Here’s a few of the other recipes that we’ve tried and a few that I just pulled off of their online menu to give you an idea about what Goodfood will bring to your table. Top 10 Reasons Why You Should Try Goodfood Meal Kits Today! 1) Our promo offer code makes it cheaper than groceries to place your first order. 2) The insane value to your life of not thinking about supper until it’s time to cook it – and know it will be awesome! 3) Automatically make healthy eating a whole lot easier. I love massive servings of pasta with tons of stuff that isn’t great for me mixed in. Hello Fresh helps steer me away from that type of meal being my default. It’s much more consistently representative of the rules of thumb nutritionists like to use, and always finds ways to mix extra servings of vegetables in without having it felt “forced”. 3) Hello Fresh’s recipes can essentially be looked at as a “Cooking 101” guide. If you need to brush up on your kitchen essentials, or are just looking for some fun new ideas to add to your “supper rotation” they’ve got you covered. 4) Guaranteed fresh top shelf produce. I’ve been especially impressed with the quality of meat we’ve received. 5) So many less trips to the grocery store – a chore that just seems infinitely harder at the end of a work day! 6) Less wasted food means less guilt and less money wasted. 7) Easily say “yes” to new foods that you likely would’ve tried before if you had to go through the process of looking up recipes, etc. 8) You’ll spend way less eating out. Tasty good options ready within 30-45 minutes means not only will you not spend money on food at restaurants, but that glass of wine with dinner is MUCH cheaper at home than at your typical dining establishment. 9) Frees up time for the finer things in life. Want more time to work out? Learn another language? Or maybe just spend more time with your loved ones? Cut precious minutes from your supper hour routine 3-4 days per week! 10) Picking great-looking meals on your easy-to-use app becomes an instant highlight of the week, and lets you anticipate next week’s magical box of goodness. 1) What happens if I’m not home when Goodfood delivers? It’s basically the same scenario as any other package. Goodfood can leave it on your doorstep (they even offer a full credit towards a future order if it’s stolen). 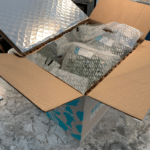 Other options include having a neighbour accept the package on your behalf, having your food subscription box mailed to your workplace (it will stay cold for over 24 hours at room temperature), or making friends with a local business that could accept your package for you and happens to be on your route home. 2) How quickly do I have to get my food in the fridge? Goodfood boxes are designed to keep food cool for 24-48 hours. I have yet to meet someone that has had meat spoil due to lack of cooling upon delivery. I’ve never even seen the cooler packs fully thawed. Food is guaranteed fresh for the week following delivery. Fish and seafood is meant to be cooked in the first three days. Food can be frozen (or deliveries skipped) if your schedule is full on a given week. 3) Can I skip a week? Yes! Just go to your Goodfood app or your account via website, and use the “skip a week” option. 4) Where does Goodfood deliver? Right now Goodfood delivers to Nova Scotia, New Brunswick, PEI, Newfoundland, British Columbia, Alberta, Manitoba, Quebec, and Ontario. 5) Is Goodfood produce pre-washed? No. We recommend washing all vegetables before you begin cooking for the evening. 6) Does Goodfood Support Local Produce and Farms? Goodfood, AKA makegoodfood.ca, is the only Canada-wide meal kit provider owned by Canadians. It has and excellent menu of diverse options that are available at an extremely competitive price. Perhaps the one nitpick I have with Goodfood is that portions weren’t as big (especially the meat) as some of the other leading meal kits. That reality is of coursed balanced by the fact that Goodfood is an extremely healthy addition to your kitchen routine.